I’m a sucker for seafood, so I love that I’m encouraged to attend local fish fries during Lent. I also love the challenge of creating new meat-free meals to serve…. Once pasta has reached desired consistency, stir in 8 ounces of French onion sour cream. This got “100 thumbs up” from the kid in the family, so it must be decent. Serve with shredded parm for a salty kick! 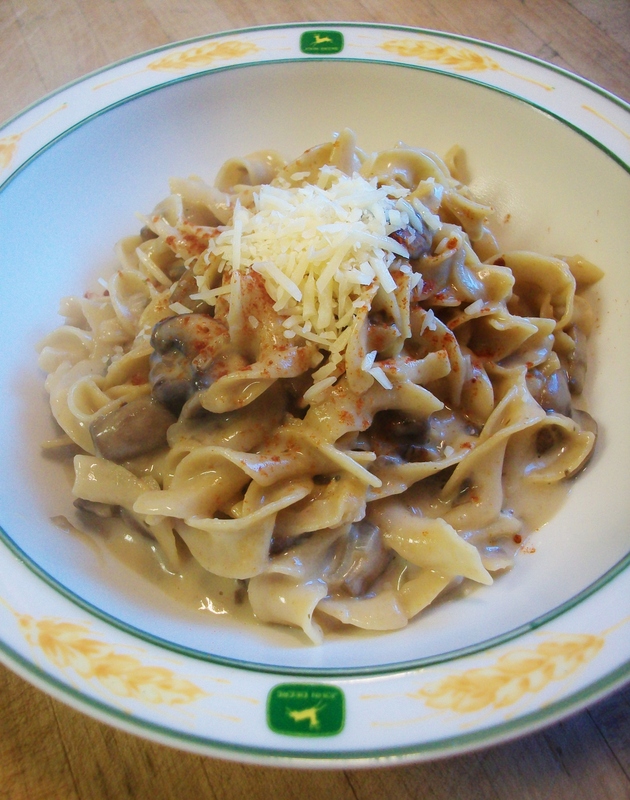 Posted in PastaTagged budget, Easy, inexpensive, lent, mushroom, one pot, recipe, stroganoff, vegetarianBookmark the permalink.